The further adventures of Travis Touchdown are coming to the PlayStation 3. 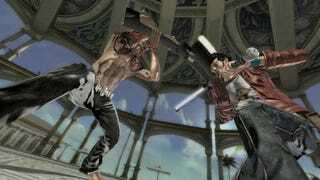 No More Heroes: Heroes Paradise is coming to the PS3 in North America, bringing PlayStation Move support along with it. This time, it will be Konami who's responsible for publishing Grasshopper Manufacture's high-res port of the Wii original. They'll do so in North America in 2011, when No More Heroes: Heroes Paradise comes to Sony's console—and not Microsoft's.